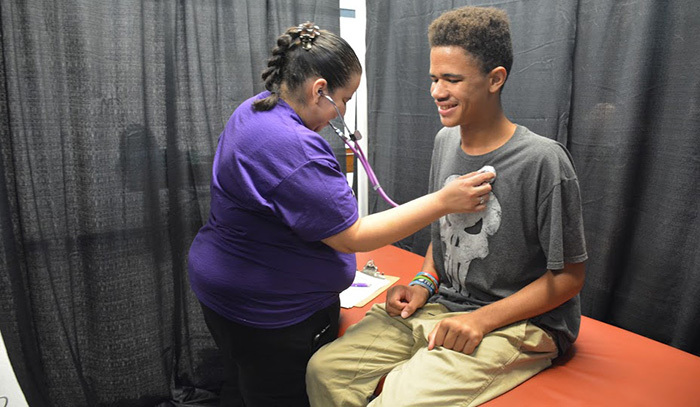 Students in the College of Nursing and Health Care Professions volunteered last week to give sports physicals to Special Olympics athletes. Stephanie Herrick Kays took a call last year from Special Olympics Arizona, asking her if she’d be interested in putting together a team capable of providing hundreds of the Olympics’ athletes with physical examinations. Herrick Kays, an instructor for the College of Nursing and Health Care Professions, said yes. The follow-up question from the Olympics’ Health Programs Manager, Amanda Metcalf, was if Herrick Kays could make it happen in two weeks. To that, she said yes again. 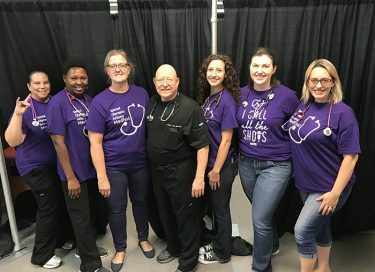 CONHCP faculty and staff get ready to put their health-care skills to work at the Special Olympics exam event. Herrick Kays said help came from every which direction to meet the tight deadline — that includes athletic training, the prelicensure program, faculty, staff, alumni, and husbands and wives. The team helped 229 athletes with special needs this past year and served 308 more last week with an even larger group of volunteers. 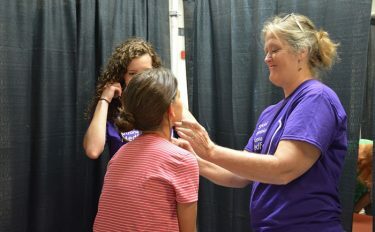 CONHCP volunteers served more than 300 special-needs athletes last week. Herrick Kays said the event is inspiring but also is extremely helpful for GCU students learning how to react in the field. She said the team collected a preliminary diagnosis of musculoskeletal problems and heart murmurs more than once. “That’s what was cool for my students, they were able to see these conditions and have a better understanding of the content we cover in class,” Herrick Kays said. 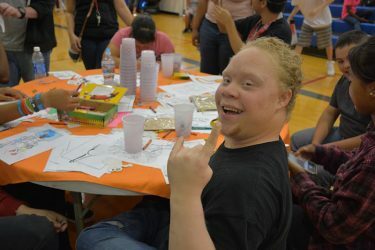 The event was at the Arizona Recreation Center for the Handicapped, about 2 miles east of the University on Colter Street. Athletes formed a line through the gymnasium, with activities for those waiting or already checked in on one side and the clinic area on the other side. The athletes came from local school districts and will compete in sports from bocce ball to basketball, racquetball and cheerleading, all the way to chess. Special Olympics athletes will compete in everything from bocce ball to chess and basketball. “It gives me goosebumps,” Herrick Kays said. “Children, especially children with low income, if there is something I can do to make their lives better, I’m going to do it. If I can give them that sports physical they can’t afford, hopefully I’m going to give them a path. Herrick Kays recalls one athlete in particular who was overwhelmed for the exam last year but was all smiles this time around.